Part of the Department of Transportation, the Federal Highway Administration (FHWA) helps maintain the nation’s system of interstate highways. Responsibility for building and maintaining highways is the charge of state and local governments, but the FHWA provides enormous support in the form of funding. Using monies collected from fuel and motor vehicle excise taxes, FHWA disperses federal highway funds to cities, counties, state agencies and tribal governments through two programs: Federal-aid Highway Program (to state and local governments); and Federal Lands Highways Program (for roads in national parks, national forests, Indian lands and other land under federal stewardship). The agency also establishes rules for building safe roads, overpasses and bridges that governments and contractors must follow. The idea that the federal government should be in the business of promoting the development of transcontinental highways was first suggested by William Randolph Hearst in 1906, just as cars were beginning to show up on America’s roads. With so few automobiles in ownership at that time, the idea of building highways seemed remote, if unnecessary. An important event that would eventually help launch the interstate highway system took place in 1919. That year a young military officer, Dwight D. Eisenhower, was aboard the US Army’s first transcontinental convoy, a two-month journey from Washington, DC, to San Francisco, CA, to assess the readiness of military vehicles to make such a long trip. The trip convinced Eisenhower and other participants, including military personnel, road advocates and members of the press, of the country’s need for better roads. During and after World War II, Eisenhower traveled on Germany’s network of rural superhighways, which had been studied and envied by American engineers during the prewar 1930s. It was during the late 1930s that key officials in Washington, DC, began to seriously think about creating a national system of highways. In February 1938, President Franklin D. Roosevelt met with Thomas H. MacDonald, head of the Bureau of Public Roads (BPR), to discuss where a system of east-west and north-south transcontinental toll highways could be built. Roosevelt asked MacDonald for a report on the idea. Congress agreed, and the Federal-Aid Highway Act of 1944 was passed. The act called for creating a 40,000-mile “National System of Interstate Highways.” BPR was instructed to draw up plans for this new system, a process that wasn’t completed until 1955 with the release of the publication General Location of National System of Interstate Highways Including All Additional Routes at Urban Areas Designated (aka the “Yellow Book”). By that time, Eisenhower was president, and supporters of an interstate system could not have asked for a more friendly or understanding man in the White House to back BPR’s plan. Now all that was needed was the money to begin construction. Funding the interstate highway system proved difficult at first. The price tag for constructing thousands of miles of roadway was set at $27 billion, which would be paid for through a combination of bonds and redirection of the gas tax. Lawmakers rejected the proposal. At the suggestion of Secretary of the Treasury George Humphrey, Representative Hale Boggs (D-LA) of the House Ways and Means Committee crafted a funding mechanism modeled after the Social Security Trust Fund. Revenue from taxes on highway user products would be credited to the highway fund for use exclusively on the interstate system and other federally-funded highway and bridge projects. This idea seemed amenable to lawmakers who adopted the Federal-Aid Highway Act of 1956. In July 1956, BPR and the American Association of State Highway Officials agreed on design standards for the interstate system. Access would be controlled with crossroads carried over or under highways. The system would consist of divided highways with four or more 12-foot lanes. In rural areas where traffic volumes were low, the standards were relaxed. Highways were designed for speeds of 50 miles per hour in mountains and 70 MPH in flat terrain. Bridges and overpasses would be built without overhead obstructions, but all structures would allow at least 14 feet of vertical clearance over the roadways and shoulders - a standard meant to accommodate oversized military vehicles so that the armed forces could utilize the new system both for routine movements and in cases of national emergency. President Eisenhower decided that BPR needed a leader of higher standing, so a new Federal Highway Administrator was created to lead the bureau. The administrator became a top adviser on highway policy and took charge of the interstate program, while the commissioner of public roads oversaw day-to-day operations of BPR and its other programs. Even with a new leader and funding, BPR encountered numerous obstacles as it first began to build highways. Engineers and steel were in short supply; local communities complained if a new highway threatened to bypass them, threatening their economic livelihood; land speculators in some locations bought up land in interstate corridors and resold it to states at ridiculously high prices; and urban stretches of new highway were expected to eat up a much larger portion of the federal highway budget than was originally expected. At the urging of President John F. Kennedy, Congress approved the Federal-Aid Highway Act of 1961, which made the four-cent gas tax permanent and adjusted other excise taxes to support completion of the interstate system. With state matching funds, the legislation accounted for $27 billion in funding for the remainder of the program, which was completed without further fiscal shortfalls. When President Lyndon Johnson led the effort to create the cabinet-level Department of Transportation (DOT) in 1967, the Bureau of Public Roads was moved into the new DOT and renamed the Federal Highway Administration (FHWA). The new office was organized into bureaus headed by directors, with the BPR name retained for one of them, along with the Bureau of Motor Carrier Safety (now the Federal Motor Carrier Safety Administration) and the National Highway Safety Bureau (now the National Highway Traffic Safety Administration). In August 1970, FHWA eliminated the bureau structure, replacing the directors with associate administrators and finally ending use of the name BPR. The Federal-aid Highway Program provides financial resources and technical assistance to state and local governments to maintain the National Highway System, a 160,000-mile network that carries 40% of the nation’s highway traffic. The program also provides resources for one million additional miles of urban and rural roads that are not on the system but that are eligible for federal aid. The program is administered through FHWA’s 52 Federal-aid Division Offices. The Federal Lands Highway (FLH) Program provides funding for public roads and highways within federally-owned lands and tribal lands that are not a state or local government responsibility. Managed by three Federal Lands Highway Division Offices, the program helps keep up and expand roads in National parks, forests and wildlife refuges. 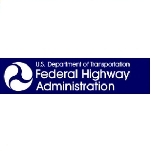 FHWA consists of a headquarters office in Washington, DC; a division office in each state (including four metropolitan offices), the District of Columbia and Puerto Rico; a resource center (with four locations); and three Federal Lands Highway division offices. FHWA’s Resource Center works in partnership with the division offices in delivering the Federal-aid Highway Program to state and local agencies. The center staff provides expert technical assistance, technology deployment and training on a full range of transportation disciplines, including air quality, civil rights, construction and project management, environment, finance, geotechnical engineering and hydraulics, operations, pavements and materials, planning, safety and highway design, and structures. Office of Planning, Environment, and Realty functions as FHWA’s national leader for international, interstate, state, metropolitan and multi-modal transportation planning; environmental stewardship; environmental streamlining; and real property acquisition and management. This office also serves as lead agency on the Uniform Act for the entire federal government. Office of Infrastructure advances state-of-the-art technologies and innovations to improve the federal highway system. It provides engineering policies and standards, pavements, materials, bridges, tunnels, geotechnical and hydraulic structures, contract administration, highway design, construction quality, maintenance and system preservation, and asset management. Office of Operations provides national leadership for managing and operating the surface transportation system, including the deployment of the Intelligent Transportation System (ITS) to highway transportation and the development of an intermodal approach to freight operations. Office of Safety provides advocacy on safety initiatives, including strategic and program development and implementation that saves lives and reduce the severity of highway crashes. The office also provides a direct organizational link to the DOT safety emphasis and programs highlighted in the DOT strategic plan. Federal Lands Highway (FLH) Office administers the FLH Program, Defense Access Roads and Emergency Relief programs; provides transportation services to federal agencies; advocates safe public access to federal and Indian lands; provides training to FHWA staff and other federal agencies; develops and disseminates technology about transportation access to federal and Indian lands; and provides direction, guidance, and support to the three FLH divisions. Office of Policy supports FHWA, DOT and Congress on intergovernmental affairs, policy development and execution, policy information needs, and international programs. Office of the Chief Counsel gives legal advice and represents all aspects of FHWA’s programs. The office works with state and local government transportation attorneys and others to enhance the understanding and application of federal transportation laws and procedures. Office of Public Affairs promotes public understanding of and support for FHWA programs, policies and strategies. It provides information about agency operations and programs to the media and public. Office of Research, Development, and Technology operates a highway research, development and technology facility in McLean, VA, where it conducts research using a wide variety of techniques and materials. The office often partners with states, transportation organizations, colleges and universities in this research. Jeff Paniati has served as the executive director of the Federal Highway Administration since April 2008. In this capacity, he manages the day-to-day operation of the agency and assists the acting administrator in planning and establishing agency policies, objectives and priorities. Paniati received a Bachelor of Science degree in civil engineering from the University of Connecticut and a Master of Science degree in civil engineering from the University of Maryland. He is a registered professional engineer. Paniati’s first position at FHWA was chief of the Safety Design Division in the Office of Research and Development. In this capacity he led FWHA’s efforts to develop new technologies, procedures and methods for state-of-art in highway safety. He then served as the deputy director of the Intelligent Transportation Systems (ITS) Program for the Department of Transportation for three years. He was then appointed director of ITS and was responsible for the $200 million program and directing its day-to-day operations for six years. Paniati returned to FHWA as associate administrator for operations. He directed a staff that works on congestion pricing, Intelligent Transportation Systems deployment, congestion management, traffic operations, freight operations, emergency management and the Manual on Uniform Traffic Control Devices. Paniati has been active in both the Institute of Transportation Engineers (ITE) and the Transportation Research Board (TRB). He has served as chair of the TRB Committee on Safety Data, Analysis and Evaluation and as chair of the ITE Traffic Engineering Council. He is a past president of the Washington DC section of ITE. For FY 2007 the agency gave out funding for programs involving innovative bridge research and deployment, interstate maintenance ($92 million), the Public Lands Highways Program ($84.3 million), the Transportation, Community and System Preservation Program ($55 million), ferry boats ($40.2 million), Highways for LIFE Pilot Program ($14.6 million) and Delta Region Transportation Development Program ($9.2 million). In addition to grants, FHWA has spent a little more than $4 billion since 2000 on 4,490 contractors. According to USAspending.gov, some of the things FHWA has paid for are construction of structures and facilities, including highways, roads, streets, bridges and railways ($2.4 billion), research and development for highways, roads and bridges ($183 million) and technical assistance ($106 million). In 2006, President George W. Bush and Congress agreed to adopt new transportation legislation that would allow larger-than-ever commercial semi-trucks to travel American streets. The Safe, Accountable, Flexible, Efficient Transportation Equity Act (SAFETEA-LU) permitted truck combos nearly a third of a football field long on roadways. The change represented a boon to the trucking industry because longer trucks meant fewer trips and drivers and thus more savings for companies. The legislation was backed by the National Automobile Dealers Association, the American Trucking Association and other industry trade associations. But before the trucks with four flatbeds linked together could begin roaming, the Federal Highway Administration had to establish rules for the new “four-ways.” Officials at the agency were still deciding whether the new rules should follow standards preferred by the trucking industry. Traffic.com, a federally-funded company that provides traffic data to state and local agencies, has been accused of having a monopoly over its industry. Rep. Anthony Weiner (D-NY) asked for investigations by Congress and the Department of Transportation’s Inspector General to determine if Traffic.com has enjoyed an advantage over other businesses thanks to federal highway funds it receives. The call for investigations in Fall 2007 wasn’t the first time the company had been scrutinized by Congress. In 2005, Weiner and other lawmakers supported an effort by Sen. Orrin Hatch (R-UT) to amend federal transportation law to open up competition for the traffic data program. The move came after several competing companies complained that the Wayne, PA, firm was enjoying market dominance thanks to provisions that directed DOT funds exclusively to Traffic.com. In 2007, New York City Mayor Michael Bloomberg unveiled a controversial plan to ease his city’s perpetually traffic-snarled streets. Known as congestion pricing, the plan called for charging car drivers $8 to enter Manhattan south of 86th Street and $4 for trips within that zone. Those fees would then pay for improvements in mass transit. In addition, by adopting congestion pricing, the Federal Highway Administration was prepared to grant NYC $354 million in funds. Bloomberg’s plan did not sit well either with lawmakers in the state legislature or with elected officials in New Jersey, from which many NYC commuters travel. US Sen. Robert Menendez (D-NJ) was so upset with what he perceived as the plan’s unfair gouging of New Jersey residents that he wrote to the Federal Highway Administration demanding they withhold the $354 million in funding for NYC if the congestion plan was adopted. As it turned out, the legislature balked at Bloomberg’s proposal, leaving the mayor without a prized goal and the city out of additional federal highway dollars. This past week I drove from California back to my home state of Ohio. Every state that I crossed had some type of construction on the expressways. As I entered into Ohio it became clear that my home state is lacking in the quality of the roads. Are my tax dollars truly going to the construction of the highways? In my 2500 mile journey Ohio has by far the WORST highway. Get it together. This is awful. We read about so many deaths due to wrong way drivers. Perhaps a way to prevent drivers from entering a highway or interstate on an exit ramp is to install one way traffic treadles like they have in public garages. It will puncture the tires and prevent a driver from continuing on the wrong way. HELP , I MEAN REALLY HELP ! We need a do over , the traffic is SO bad and the roads are in such poor condition. There is trash everywhere and the condition of the roads , city , state ,freeways all of them is just ridiculous. What can we do as citizens? I travel often from San Antonio to Austin and back, I just cant believe my eyes with so much trash/tires/dead dear/etc etc on the side of the highways never being cleaned up. We have been paying taxes for ever and nothing gets done to improve this issue. Toll ways are not the answer either, if that crossed your mind. Someone needs to take a cut in pay and get these roads cleaned up. On May 8, 2015, President Barack Obama announced his intention to nominate Gregory G. Nadeau, the current deputy administrator of the Federal Highway Administration to be the Administrator of that agency. Nadeau is from Lewiston, Maine, graduating from Lewiston High School in 1973. He attended the University of Maine and worked at Friend’s Deli, which was owned by his parents. Nadeau was elected to the Maine House of Representatives in 1978 and was the youngest member of that body when he began serving there at age 23. He continued to work in the family business, sold real estate and worked on political campaigns. In 1979, he became assistant to the state coordinator for the Carter-Mondale re-election effort and in 1982 worked on the re-election campaign of Maine Governor Joseph Brennan. He also served as special assistant to Lewiston Mayor Paul Dionne. Nadeau left office in 1990 and was president of Public Policy Associates, a lobbying firm he founded with another former state legislator. Nadeau moved back into state government in 1993 as the policy advisor to the office of the president of the Maine senate. In 1995 he moved to the office of Governor Angus King (now a U.S. senator) as senior policy advisor for issues including transportation and economic development. Nadeau joined the Maine Department of Transportation in 2002 as director of policy and communications and in 2004 was named deputy commissioner for policy, planning and communications and served on the Maine Turnpike Authority Board of Directors. Nadeau was named deputy administrator at the Federal Highway Administration in July 2009. Nadeau and his wife, Diane, who married in 1982, have two children. Nadeau’s brother, Phil Nadeau, is the deputy city administrator of Lewiston, Maine. Running the state of Arizona’s transportation agency has become something of a stepping-stone for recent appointees to the Federal Highway Administration (FHWA). At the beginning of George W. Bush’s first term, Mary Peters, then-director of the Arizona Department of Transportation (ADOT), was chosen to run FHA (and later became Secretary of Transportation under Bush). And now President Barack Obama has looked to Arizona for his own FHWA administrator, Victor M. Mendez. Mendez attended college at the University of Texas, El Paso, earning a Bachelors of Science in civil engineering. He went to graduate school at Arizona State University, where he received his MBA. He worked as a civil engineer for the U.S. Forest Service in Oregon and Flagstaff, AZ, before joining ADOT in 1985. Mendez spent the next 24 years rising inside the agency, starting as a transportation engineer, then up to engineering supervisor, assistant state engineer with Statewide Project Management, and deputy state engineer for the Valley Transportation Group, putting him in charge of Phoenix’s multi-billion dollar freeway system. In 1999 Mendez became the No. 2 official at ADOT when he was named deputy director, during which he oversaw the widening of the Superstition Freeway. Two years later, he took over the state’s transportation agency when Peters moved to Washington to take over FHA under Bush. 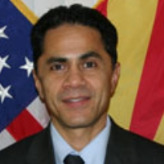 After serving as the acting director for four months, Mendez became the permanent head of ADOT in November 2001. In 2007 Mendez served as president of the American Association of State Highway and Transportation Officials. In his earlier activities for the organization, he served as chair of the Standing Committee on Research, chair of the Operations Council of the Standing Committee on Highways, and chair of the Transportation Research Board/National Cooperative Highway Research Program oversight group for the Long-Term Pavement Performance 20-year program. A registered professional engineer in civil engineering with the state of Arizona, Mendez is also a member of the American Public Works Association. Mendez had two things going for him in being considered for the FHA post. First, he served under Arizona Governor Janet Napolitano, who was tabbed by Obama to run the Department of Homeland Security. Second, he directed public outreach as a member of the Obama transition team on transportation. Mendez was confirmed by the Senate July 10, 2009.